Creative people struggle to get all the stuff in their head out into the world. Creative kids struggle with this too and often with the added burden of doubt. 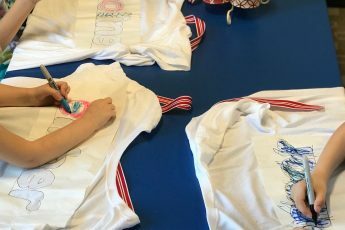 Kids who have that creative bend and will grow up to be makers, sometimes need help getting their work out into the world and then evaluating what is good and what can be improved. 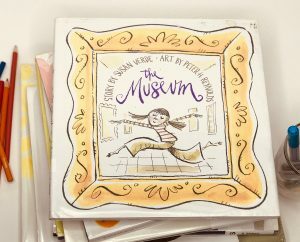 This is a list of picture books about art that will help your children and students embrace their creativity and teach them that perfection may not be as wonderful as they think it is. 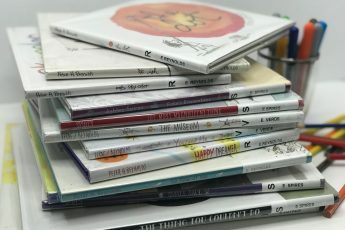 I began my Storybook Art class with these books. I could not find a copy of The Beautiful Oops! But I found this video at the bottom of the amazon page and we watched it together before we started our craft on the first day. 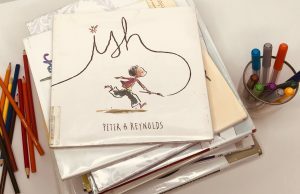 Creativity and individuality are at the heart of Peter H Reynolds’ work. I love how he pushes back on the idea of perfection and tries to free young artist to create. 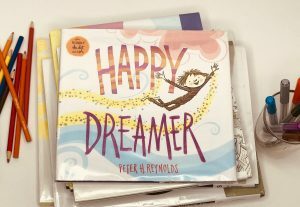 His books are so full of delight and like to use them to prepped students for class with clear expectations for what is ahead of us. 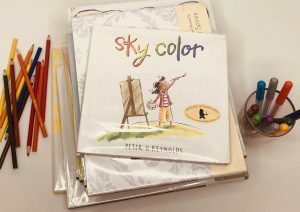 This author has written these and many more picture books about art and creativity. 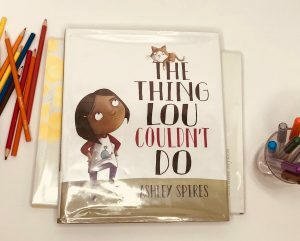 This is a book for those kids who say they can’t do art. The main Character, Vashti thinks the very same thing only to find acclaim in the school art show and then she inspires the next artist to give their best to the world. It is a good one. I like to stop before I turn to the last page and ask the students to predict what happens next and they always get the answer the right. 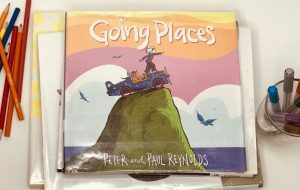 This is the first book I read to my Storybook Art class to free them to do as much or as little as they wanted in completing their piece of art each week. This is a wonderful story of Marisol and how she solves her problem. It is her job to paint the sky in a school mural and there is no blue. What is an artist to do? 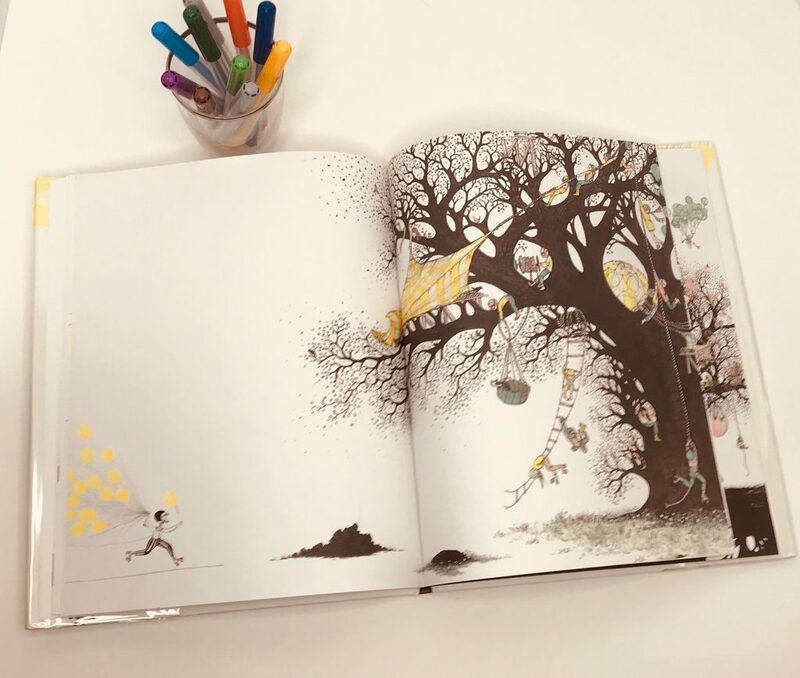 I really love the illustrations in this book. When I get to the end I like to ask my students, what would have happened if she had found a can of blue paint. 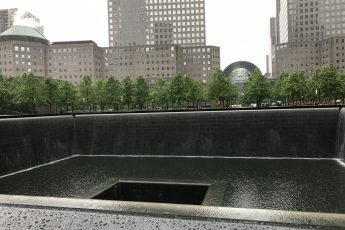 Would the art mural have been better with a blue sky or worse? This is Ramon’s story. 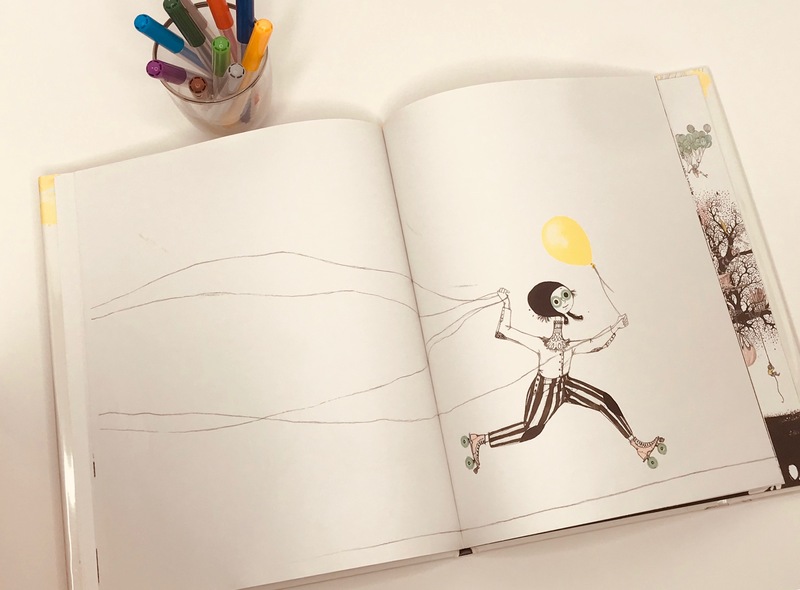 He is Marisol’s older brother and he loves to draw, “anytime, anything and anywhere.” This is the story of a frustrated artist who is listening to critical voices and trying to find perfection in his drawings. Then he finds the secret word that unlocks his creativity and your students will love using this word about their art and their friend’s art. This is a great book to combine with a lesson on cubism. In cubism a boat looks boat-ish, a face looks face-ish. It gives your students a way of looking at this art form and appreciating it even understanding it. Creativity and art are not just found in flat pieces of paper that hang on the wall. This is the story of a team who take the same car kit everyone else gets and makes something new. They are laughed at and ridiculed as new ways of doing things are rarely welcomed at first. This is a great story to share as part of a unit on inventors. 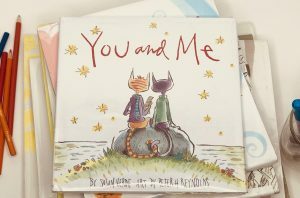 This is a really fun story that I love to read to children. I try to read faster and faster as Leo works feverishly through his list. I like this one with the book from Steve Antony called UnPlugged. They make a great combo for getting kids to put down the screens and dream a little. Do you have a student who struggles with ADD, ADHD, ODD? This is a story about a boy like them. 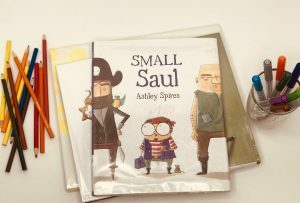 I love this author and illustrator. She never fails to amuse me and inspire me. I would love to go to coffee with her. You should follow her on Instagram because her cats are the main attraction. 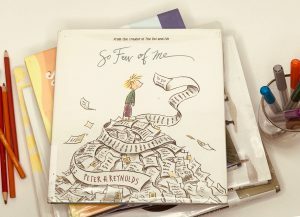 These are only a few of her picture books about art, creativity and fortitude. This is a book about me. Not really I have never met the author, but she knows me somehow. 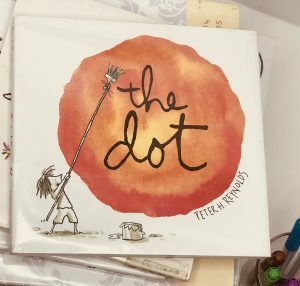 It is a story about a little girl who gets so mad when she is creating and things don’t work out. I have made every face in this book. It is a great lesson for the frustrated creative. Do you know someone who is a slave to fashion? No matter their age, this is the book to give them. It is about self-worth and knowing when enough is enough. There is also a story of friendship and restoration here. It is a great story for those kids who get tunnel vision and cannot see past what is right in front of them. 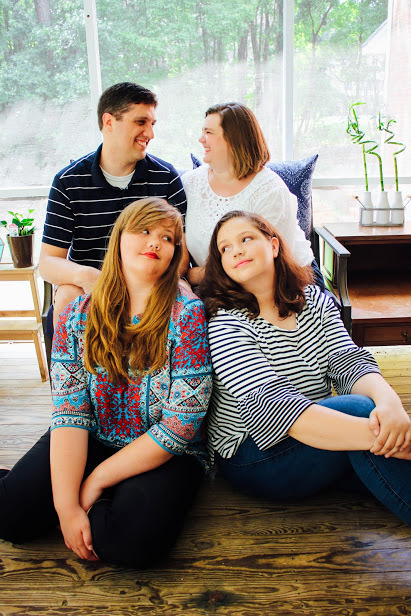 This is a great story for building self-confidence and persevering in the face of doubt. Like the previous story, this book is about a state of mind. This is a sweet story about an unlikely pirate who changes the pirate world in the best of ways. It is really cute. I am not going to say much about this book, because it is a fabulous surprise. 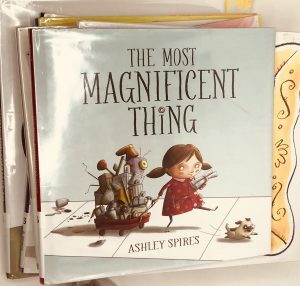 I read it and then immediately sent a text to a friend with a child that is destined to be an artist and told her she had to get this book for her daughter. You should take that advice and get this book that chronicles a series of mistakes on the way to a masterpiece. Just get it. You will love it. 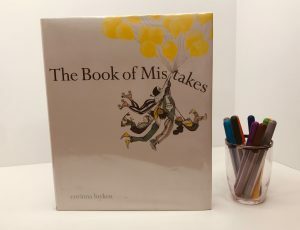 This is one of my favorite picture books about art and creativity that comes from a series of mistakes. This has been such a fun list to create! I can’t wait to return this stack to the library and do it again! Please add your favorite book for the creatives among us by commenting below. I always need more book suggestions. I can’t wait to check these out! We were given for Christmas the book, “What do you do with an idea?” By Kobi Yamada. 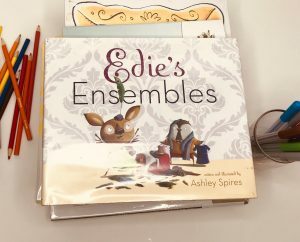 The kids love it and it describes the creative process so beautifully. The illustrations are mesmerizing too. I wish I could include a picture! Definitely include that photo and I will put that on my list to get with my next batch of books. A friend on facebook also recommended The Book Lady.